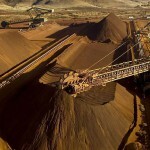 Iron ore crashes through $50 per tonne mark (0) October 29, 2015 Iron ore has fallen through the US$50 per tonne barrier, strengthening bearish sentiment in the market. Mt Gibson to sue over ‘catastrophic’ wall collapse (0) October 29, 2015 Mount Gibson Iron is suing the engineers responsible for building the Koolan Island mine seawall, which collapsed last year, flooding the mine. 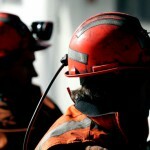 Job cuts at coal mine following restructure (0) October 29, 2015 Centennial Coal has announced a restructure of its Myuna mine and job cuts, due to ongoing market weakness. Illegal miners killed in Indonesian mine collapse (0) October 29, 2015 At least illegal 12 miners are feared dead after a gold mine collapsed in Indonesia’s West Java province on Tuesday night. New mining innovation centre launched in Queensland (0) October 28, 2015 A new mining equipment, technology and services (METS) growth centre has been launched today in Queensland. Bill to end Stradbroke sand mining by 2024 (0) October 28, 2015 A new push in Queensland’s parliament is seeking to wind down sand mining on Stradbroke Island. FMG continues debt repayment (17) October 28, 2015 Fortescue Metals has used the September quarter wisely, paying back $US384 million in debt. Miners working longest hours in Australia (0) October 28, 2015 New data shows Australia’s miners work longer than any other sector in the country. Haul truck fires followed by social media discipline (7) October 28, 2015 A haul truck fire at the Collie coal mine has been followed by a disciplinary investigation of the social media use of employees who photographed the incident. Goldman gets on the iron ore bear train (0) October 28, 2015 Goldman Sachs is predicting significant losses and continued iron ore gluts into next year as the metal’s weakness continues. 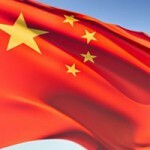 China set to plan its next economic heading (0) October 28, 2015 China’s latest plenary session has the market watching for the planned economic future of the country. 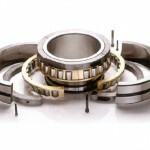 Predicting impending machinery breakdowns using SmartCheck (0) October 28, 2015 The initial signs of impending breakdown in machinery can include tiny changes in vibration that warn of excessive wear in the bearings. Australian Academy of Science divests from fossil fuel (0) October 27, 2015 Another divestment domino has fallen, with the Australian Academy of Science announcing this morning it will divest from fossil fuel interests. New LNG precinct approved by EPA (0) October 27, 2015 A proposal for development of an LNG precinct north of Broome has been slated for approval by the Environmental Protection Authority (EPA). Protesters storm climate change sceptic’s coal mine (0) October 27, 2015 Land belonging to prominent climate change sceptic Matt Ridley has been stormed by protestors seeking to shut down England’s largest open-cast coal mine. FIFO worker denied compensation over co-worker death (0) October 27, 2015 A Queensland FIFO worker has lost an appeal for compensation relating to psychological trauma after seeing a deceased co-worker. 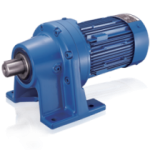 World-beating Sumitomo Cyclo Drives (2) October 27, 2015 When it comes to drive technology, it’s hard to look past Sumitomo for their high-quality, hard-wearing series of Cyclo drives. 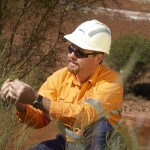 Orica to appoint new chairman (0) October 27, 2015 Orica has announced former Orica Malcolm Broomhead as its new chairman. Kalgoorlie to celebrate St Barbara’s Day (0) October 26, 2015 The mining industry and local Kalgoorlie community have joined forces to hold the annual Saint Barbara’s Festival from 3rd to 5th December 2015. 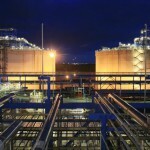 Santos production up across the board (0) October 26, 2015 Santos’ LNG production has doubled in 2015, however sales have flagged due to the drop in gas prices. Iron ore hits three month low (0) October 26, 2015 Iron ore has fallen again off the back of continued depression in China, strengthening bearish sentiment of the metal. The benefits of renting your mine site compressors (0) October 26, 2015 It’s sometimes pointed out that customers don’t buy products, but solutions. The ‘boots and all’ approach to community and corporate responsibility (0) October 26, 2015 Despite growing to become one of the worlds’ most recognisable and trusted boot brands, Blundstone has always retained its family values. Methane metabolising organisms discovered. (0) October 26, 2015 New methane eating organisms have been discovered. Creating Exceptional Workplaces by managing industrial consumables and PPE holistically (0) October 26, 2015 Kimberly-Clark Professional* is offering a unique program called Exceptional Workplaces* that takes a holistic approach to waste reduction by efficiently managing industrial consumables and personal protective equipment in work environments. WYPALL* X Wipers: Selecting the right wiper and dispensing system for your cleaning task (0) October 26, 2015 There’s no doubt a cleaner workplace is a safer, healthier and more productive workplace. 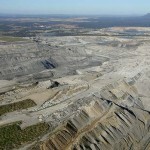 Rio Tinto’s Mt Thorley Warkworth extension gets greenlight (0) October 23, 2015 The proposed expansion of Rio Tinto’s Mt Thorley Warkworth coal mine has been given the go ahead by the NSW Planning Assessment Commission. 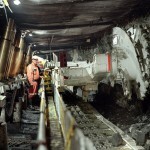 Miners to keep spending under wraps (0) October 23, 2015 New Citi research is indicating a continued belt tightening attitude in the mining industry. 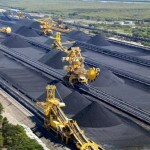 Environmental defenders say Wollongong Coal not ‘fit and proper person’ (0) October 23, 2015 Environmental activists have launched a fresh attack on Wollongong Coal in the attempt to cancel the company’s mining rights in NSW. 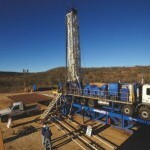 Monadelphous to launch new US gas venture (0) October 23, 2015 Mining services and construction contractor Monadelphous has launched a new foray into the US gasfields. Rio Tinto fined for worker death (0) October 23, 2015 A Rio Tinto subsidiary has been fined $70,000 over a worker who was crushed at Rio’s Brockman 2 mine in 2011. Origin to close Australia’s largest coal power plant (0) October 22, 2015 Origin Energy has announced it will close down the Eraring Power Station within 20 years as part of a commitment to reduce carbon emissions. South32 digs in against volatile exchange rates (0) October 22, 2015 South32 has released its Quarterly Report for September, showing a significant reduction in financial leases as the Australian dollar has depreciated against the US dollar. Off to the salt mines, if you’re lucky… (0) October 22, 2015 A new salt mine in the Northern Territory will open up 360 new jobs near Alice Springs when construction begins in 2017. Is iron ore headed for US$40 per tonne? (0) October 22, 2015 Pundits are predicting a massive decline and a new low for iron ore.
Cadia sees mill breakdown (1) October 22, 2015 Newcrest’s Cadia mine’s SAG mill has been shut down following motor issues. 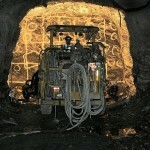 Mastermyne win underground development contract (2) October 22, 2015 Mastermyne has won a contract for underground roadway development services for a major global miner. Vigil for George Bender held at Origin AGM (0) October 21, 2015 A vigil will be held today at the Origin Energy AGM to commemorate Western Downs farmer and anti-fracking campaigner George Bender. Ellendale may be handed back to the state (0) October 21, 2015 The collapsed Ellendale diamond mine may be handed back to the state as the diamond market implodes. Mining union calls for more action on FIFO bill (0) October 21, 2015 The announcement of a new bill to end discrimination against local job applicants at BMA coal mines has been met with scepticism by the CFMEU. GVK Hancock groundwater studies under fire (0) October 21, 2015 GVK Hancock insists that its groundwater assessments for the proposed Kevin’s Corner coal mine were comprehensive and have provided a clear understanding surrounding groundwater aquifers and bores. 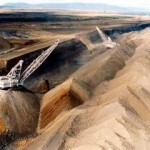 Greenpeace makes official move on coal mines (0) October 21, 2015 Greenpeace has made an official offer for a range of German brown coal mines and power plants. Mount Arthur coal permanent staff reductions a legal risk (0) October 20, 2015 BHP risks breaking development approvals for the Mount Arthur coal mine if it proceeds with plans to reduce the number of permanent staff. Boart Longyear launches new drill rigs (0) October 20, 2015 Boart Longyear has unveiled its new mobile underground coring drill rigs at DrillFest. Ban on 100 per cent FIFO policies before parliament (0) October 20, 2015 A new bill to ban 100 per cent FIFO policies was tabled in the Federal parliament yesterday by Queensland MP George Christensen. 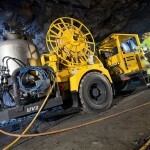 A safe and productive remote bogging solution from Sandvik (0) October 20, 2015 Improving productivity through the use of automated mining solutions is one way the sector is moving higher tonnages more safely and efficiently than ever before. The future of technology for innovation-driven economies (0) October 19, 2015 We are moving into the early stages of the fourth industrial revolution, but what is driving this change? Toro Energy welcomes new chairman (16) October 19, 2015 Uranium explorer Toro Energy has welcomed a new non-executive director and chairman to the board, while the company prepares for increased global demand. Springvale coal mine receives final approvals (78) October 19, 2015 Centennial Coal has seen its Springvale and Mandalong coal mines win extension approvals. 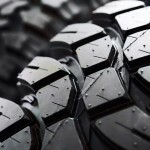 Deloitte brings in new mining leader (0) October 19, 2015 Market analyst Deloitte Access Economics has appointed a new leader for their mining sector practice in Perth. Mining needs US$150bn to survive, Wood Mac says (0) October 19, 2015 Ongoing weak markets and commodity price pressures may mean the industry’s focus on the now rather than the future could damage it ahead. 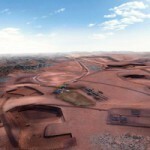 Fortescue Metals chief complains about port fees (0) October 19, 2015 Fortescue Metals has blown the whistle yet again with fresh complaints against the Western Australian government, this time about the “impost” of port fees. 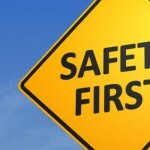 Businesses urged to be safe this National Safe Work Month (0) October 19, 2015 Safe Work Australia is urging businesses to prioritise health and safety, and conduct risk assessments during this National Safe Work Month. 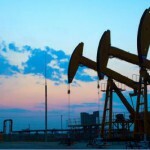 Drillsearch secures funding (1) October 16, 2015 Drillsearch Energy has secured $100 million in funding. Santos ship first gas (0) October 16, 2015 Santos has shipped its first LNG from Curtis Island. Carmichael mine gets the greenlight (15) October 16, 2015 Environment minister Greg Hunt has once again approved Adani’s Carmichael coal mine. 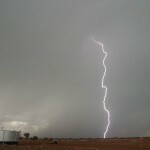 ERA concedes defeat on Ranger uranium mining extension (0) October 15, 2015 Energy Resources Australia has run up the white flag on continuing to mine for uranium at Ranger beyond 2021. Divestment protests at Uni of Tasmania (0) October 15, 2015 Peaceful protests at the University of Tasmania (UTAS) have entered a second day, with students sitting in at the Vice-Chancellor’s office to call for divestment of fossil fuel interests. Students rally against Uni of Tasmania fossil fuel investment (0) October 15, 2015 Peaceful protests at the University of Tasmania (UTAS) have entered a second day, with students sitting in at the Vice-Chancellor’s office to call for divestment of fossil fuel interests. Ausdrill subsidiary wins massive gold contract (0) October 15, 2015 Ausdrill subsidiary African Mining Services (AMS) has won a US$300 million contract at the Tulu Kapi gold project. 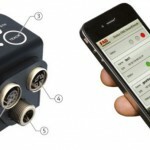 Coffey agrees to Tetra Tech takeover (0) October 15, 2015 Coffey International has agreed to a 100 per cent takeover offer from Tetra Tech. Another court win for Hancock Prospecting (0) October 15, 2015 Gina Rinehart has reached a long awaited win in the High Court, which yesterday determined that Rio Tinto is liable for royalties to Wright Prospecting and Hancock Prospecting. 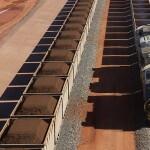 Roy Hill to miss initial October shipment (0) October 15, 2015 Roy Hill has confirmed it will miss its earlier set date for shipment, and denied it is to blame for falling iron ore prices. 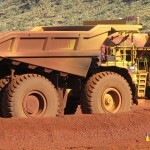 ABS releases mining stats for 2014 (0) October 14, 2015 Australia’s iron ore industry added 30 per cent to its value between FY13 and FY14, according to new data released by the Australian Bureau of Statistics. Toro upgrades Wiluna uranium resources (6) October 14, 2015 Toro Energy has announced an upgrade of 20 per cent to the West Australian Wiluna uranium mineral resources. Worker injured by chemical burns after hose rupture (0) October 14, 2015 Investigations are ongoing into an incident in which a worker was subjected to serious chemical burns at a processing plant after failure of a rubber hose. Greenfields agreements subject to new reforms (0) October 14, 2015 The passage of federal workplace relations reforms, which will enable companies to bypass negotiations with unions in greenfields agreements, has been welcomed by industry lobby groups. CMEC win US$135m Astron mineral sands contract (20) October 13, 2015 Astron Corporation has awarded China Machinery Engineering Corporation (CMEC) the EPC contract for its Astron Donald mineral sands processing plant. 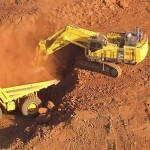 Iron ore to slump again in 2016 (0) October 13, 2015 Analysts predict further slumps for iron ore in 2016, as new projects such as Roy Hill come online and swing into full production. 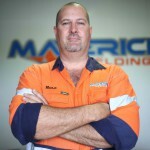 Ausdrill CFO moves on (22) October 13, 2015 Ausdrill’s CFO Jose Martins will make the move over to Macmahon Holdings after five years with the drilling contractor. New super-quad road train trials begin (0) October 13, 2015 Western Australia has begun trials of a new range of “super-quad” road trains, billed to enhance cost efficiencies in the mining sector. 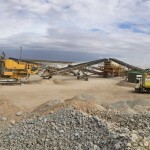 World’s largest leucoxene production to commence in WA (0) October 13, 2015 The Keysbrook project will soon commence continuous mining operations, producing zircon and leucoxene mineral sands products. 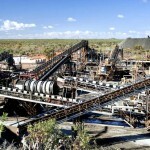 Glencore to sell off Cobar mine (0) October 13, 2015 Glencore has announced its intention to sell its Cobar copper mine. Slashing safety incidents (1) October 12, 2015 The most dangerous area to be in any mine is around moving machinery. 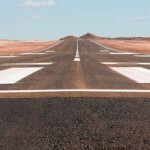 Resources community rankled by FIFO recommendations (0) October 12, 2015 The recommendations of a Queensland parliamentary report into FIFO practices has been met with opposition from resource industry lobby groups. Mitchell wins Evolution mining contract (3) October 12, 2015 Mitchell Services has begun work under a two year contract for work at Evolution Mining’s operations. WA DMP sees positive results from environmental reforms (0) October 12, 2015 The West Australian Department of Mines and Petroleum has seen consistent levels of environmental compliance in WA. New discovery to triple nickel for miner (0) October 12, 2015 Rox Resources new $73 million mine looks to triple its inventory. CITIC sees massive funding injection (0) October 12, 2015 Chinese miner Citic recently disclosed a massive injection of capital into the embattled Sino Iron project, made on April 1. Iron ore leaps over US$55 (0) October 12, 2015 The price of iron ore has strengthened, climbing to more than US$55 per tonne. Glencore to slash zinc jobs (0) October 9, 2015 Glencore has announced it will slash it zinc output, suspending operations at Lady Loretta and reducing output at Macarthur River and George Fisher. 200 jobs to be cut from Wheatstone (0) October 9, 2015 Up to 200 jobs have been slashed from Chevron’s Wheatstone LNG project this week. Mining to rise out of the downturn in 2017 (0) October 9, 2015 Bankers are seeing mining returning to form in late 2016/17, with predictions of commodity prices rising by a quarter. 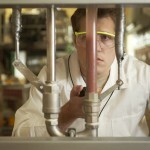 Uni of Adelaide launches new mining research hub (0) October 8, 2015 The University of Adelaide has opened a new copper and uranium research hub. 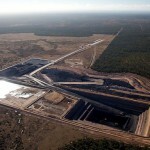 GVK Alpha coal mine hit with another environmental appeal (0) October 8, 2015 Gina Rinehart’s GVK Hancock Alpha coal mine has been hit with another appeal against its environmental approvals. Another NZ coal mine to close (0) October 8, 2015 Solid Energy will close the Huntley East coal mine. Aurizon to cut 800 jobs (0) October 8, 2015 Aurizon plans to slash around 800 jobs over the coming years as it carries out a rationalisation program. Greenpeace plans to buy coal mines (0) October 7, 2015 Greenpeace has announced plans to buy German coal mines in order to shut them down. NRW wins case against Samsung (22) October 7, 2015 NRW has won its case over pay against Samsung C&T and its work at the Roy Hill iron ore mine. 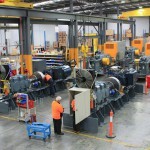 Mining manufacturer urges Australian manufacturers to train in automation (0) October 7, 2015 Hunter company Hedweld has said that Australian manufacturers must train staff in automation and robotics. Mine fire threatening Aboriginal heritage sites (0) October 7, 2015 Indigenous groups say backburning operations at ERA’s Ranger mine are at risk of torching ancient rock art sites. 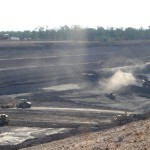 CFMEU claims all BMA coal jobs at risk (26) October 6, 2015 All permanent local jobs with BHP in Central Queensland are under threat, the CFMEU claims. Glencore shares skyrocket on back of sell-off rumours (112) October 6, 2015 Glencore shares skyrocketed 72 per cent in Hong Kong as reports emerge it is talking to possible buyers for its agricultural business. Miner fined after worker injured (0) October 6, 2015 The contractor for the Woodie Woodie mine’s process plant has been fined after a worker was seriously injured. Lucapa uncovers new kimberlite diamond pipes (0) October 6, 2015 Lucapa Diamond’s has uncovered more diamonds bearing pipes near its existing diamond mine. NRW facing Samsung in Roy Hill court battle (0) October 6, 2015 NRW has entered a trading halt as it faces Samsung C&T in the WA Supreme Court over legal disputes relating to work at Roy Hill. Newcastle port’s Terminal 4 approved (3) October 2, 2015 Port Waratah’s Terminal 4 project has been given the greenlight by the Planning Assessment Commission. Chief Economist indicates the bottom of the mining bust (1) October 2, 2015 A report from the Department of Industry Innovation and Science’s Office of the Chief Economist states the bottom of the mining bust is here. Arrium to slash jobs (19) October 2, 2015 Arrium have announced that they will be cutting costs and jobs in the aim to save $100 million as they try and improve the viability of the steelworks. Graphene miner to enter solar power market (0) October 2, 2015 Talga Resources is in talks with manufacturers and working to enter the solar energy market with batteries using graphene. New coal mine jobs at Wilkie Creek mine (40) October 2, 2015 The new owners of a coal mine west of Toowoomba are planning to hire more than 120 locals to work at the operation in the coming months. Barrick open to Super Pit sell-off (27) October 2, 2015 Barrick Gold would consider approaches for its stake in the Kalgoorlie Super Pit. Investors move in on Glencore in slump (0) October 2, 2015 The former CEO of Morgan Stanley used Glencore’s sharemarket slump as a chance to buy up stocks. 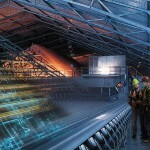 Sandvik to divest materials handling division (6) October 2, 2015 Sandvik has announced its intention to divest its Mining Systems division. 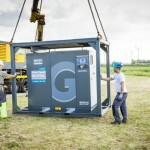 Portable nitrogen generators from Atlas Copco Rental (0) October 1, 2015 Portable nitrogen generators, available to rent from Atlas Copco Rental, can be relied upon to deliver nitrogen when and where you need it. Mining comes to an end at Century (0) October 1, 2015 MMG has marked the end of extraaction at Australia’s largest open pit zinc site, the Century mine. Wambo pleads guilty to blast issues (0) October 1, 2015 Wambo Coal has pled guilty in the Land & Environment Court over issues relating to its blasts in May. Opposition wants fracking moratorium extended to 2020 (2) October 1, 2015 The Victorian opposition has said a current ban on fracking should be extended until at least 2020, raising concerns from the state’s industry. New body launched for mechanics truck (0) October 1, 2015 IMT has developed a new body design for its Dominator III mechanics truck. Black Oaks starts gold production (0) September 30, 2015 Black Oaks has commenced production from its Mount Boppy mine. 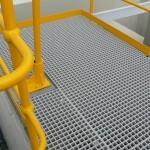 Increasing Conveyor Safety & Efficiency with QCTM retractable idler frames (0) September 30, 2015 In Bulk Material Handling operations such as mines and export terminals, an out of service conveyor belt means lost production and lost profit. Workers’ foot cooked with caustic soda (0) September 30, 2015 A Gladstone aluminium worker who ended up with burned skin from a caustic soda spill is suing his employer for negligence. 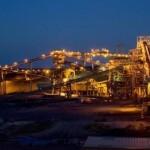 Rio sells Bengalla stake to New Hope (0) September 30, 2015 Rio Tinto has offloaded its 40 per cent stake in the Bengalla coal mine to New Hope for US$606 million. Mining slump creating skills shortage (14) September 30, 2015 The ongoing mining decline is creating a skills shortage as professionals exit the industry, and an unemployment rate triple that of the rest of the nation. Glencore bounces back after share slaughter (0) September 30, 2015 Glencore’s share price has revived slightly after a massive drop yesterday. 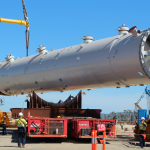 Leighton wins APLNG development contract (0) September 30, 2015 eighton Contractors has been contracted by APLNG to deliver gas field development works in the Surat Basin. Cat Mining VP to resign (0) September 29, 2015 Caterpillar’s VP for mining has announced his resignation. 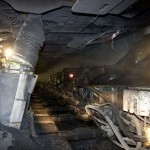 Greens call for coal levy to support workers (0) September 29, 2015 Greens head Richard Di Natale has called for a plan to levy coal miners for environmental rehabilitation and to support workers in retraining. Concerns rise over cut BMA miners mental health (0) September 29, 2015 The Queensland mining community have fears over the mental health of those workers who lost their jobs in the BMA Blackwater mining cuts. 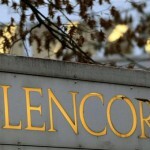 Glencore haemorrhages value (0) September 29, 2015 Glencore stocks have been slammed, with the miner shedding nearly a third of its value overnight. ASI unveil new autonomous vehicle test facility (0) September 28, 2015 Autonomous Solutions, Inc (ASI) has announced the completion of a facilities expansion involving its unmanned vehicle test track. More contract legal battles at Roy Hill (0) September 28, 2015 A new legal fight has erupted at Roy Hill relating to failure to make payments. New mining minster positive on industry (0) September 28, 2015 The newly appointed Federal mining minster Josh Frydenberg stepped in the new role with positivity for the future. Lynxrail wins Roy Hill rail contract (0) September 28, 2015 Lynxrail will be installing its Automated Train Examiner (ATEx) technology on the new Roy Hill rail line. Young achievers pave the way for mining public relations (0) September 25, 2015 A select group of young, South Australian filmmakers have reaped the rewards of their budding PR skills, which were recognised last night at the Dirt TV awards. 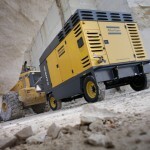 Reliable compressed air for mining operations (0) September 25, 2015 Rotary screw compressors are a good choice for mining operations. And the rental option is a good way to source them. Corruption findings over NuCoal licence upheld (0) September 25, 2015 NuCoal Resources have suffered another blow after their case against the Independent Commission Against Corruption was rejected by the Supreme Court. 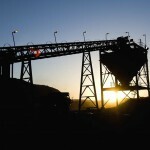 Banks mixed on mining’s future (0) September 25, 2015 Banks and investors have presented a divided front over the future of miners and commodity prices. Coal outdone by renewables in UK (0) September 25, 2015 For the first time in history, renewable energy has outweighed coal-fired power in the UK’s electricity generation mix. $3 million federal grant for mining haulage truck manufacturer (0) September 25, 2015 Haulmax has been awarded a $3 million grant to help develop two new explosives units for the surface mining industry. Caterpillar to slash jobs (0) September 25, 2015 Cat will slash jobs as the manufacturer records a 5 per cent fall in revenues year on year. 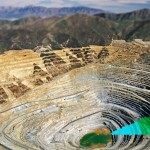 Newmont considers Super Pit gold mine takeover (0) September 24, 2015 Gold miner Newmont has flagged potential plans to Barrick Gold’s share in the Kalgoolie Super Pit. Santos starts first production on Curtis Island (0) September 24, 2015 Santos has started producing its first LNG at Curtis Island, on schedule. 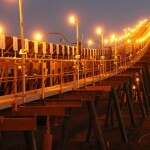 Sedgman win BHP iron ore contract (0) September 24, 2015 Sedgman has been awarded a contract for crushing and conveyor works at BHP’s Jimblebar iron ore mine. 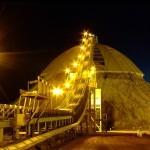 BHP pays majority of taxes to Australian government (0) September 23, 2015 BHP has released a new report which shows that most of their payments to governments worldwide are made to the Australian government. Financial distress reduces productivity in the mining sector (0) September 23, 2015 Research indicates that financial wellbeing has one of the biggest impacts on overall personal wellbeing, making its influence in the resources industry profound. 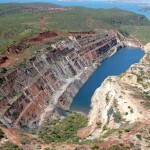 Gold tailings dam turns up easy pickings (0) September 23, 2015 An old tailings dam in north-western Queensland may see a new life as a producing gold mine. Queensland FIFO report delayed (9) September 23, 2015 A final report from the Queensland parliamentary inquiry into the social impacts of FIFO practices has been delayed to fall in line with another investigation. Terror attack at Chinese coal mine (0) September 23, 2015 An armed attack by alleged ‘separatists’ has been carried out at Chinese coal mine. Southern Cross to step into Downer’s rejected contract (0) September 23, 2015 Southern Cross will fill Downer’s boots, after the contractor walked away from an ammonia plant construction job. Roy Hill due for first export (0) September 23, 2015 The Roy Hill iron ore mine will begin exporting product sometime in October, according to Roy Hill Holdings chief executive Barry Fitzgerald. 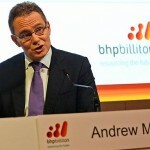 BHP CEO pay falls (0) September 23, 2015 BHP CEO Andrew Mackenzie has seen a major decline in his remuneration year on year. Jobs to go at Curragh coal mine (0) September 23, 2015 Approximately 100 contractor jobs are set to be cut from Wesfarmers’ Curragh coal mine. 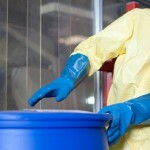 Handling chemicals safely (0) September 23, 2015 Although workplace accidents involving industrial chemicals are trending downwards, they are still a real possibility. 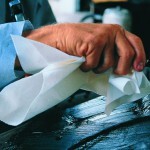 And it is the responsibility of business owners to safeguard against them. 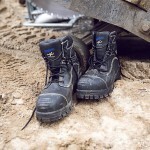 The head-to-toe guide to basic mining safety (0) September 22, 2015 According to Safe Work Australia and Australian Mining magazine, 53 mining workers died on the job in the seven years to 2014. 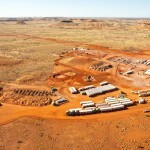 New uranium mine in WA up for environmental review (0) September 22, 2015 A new uranium mine near Wiluna in WA would create 225 jobs, according to Canadian miner Cameco. Lithgow coal mine sees next round of approvals (0) September 22, 2015 Centennial Coal’s Springvale mine’s proposed expansion has received Department of Planning approval. A platinum bull in the China shop? (0) September 22, 2015 Macquarie gets bullish on platinum group metals on the back of Chinese automotive demand. 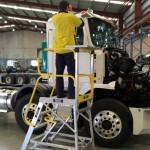 CIMIC launches new mining equipment hire business (0) September 22, 2015 CIMIC Group announces the launch of a new mining equipment hire business, FleetCo. 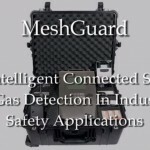 “Sniffing” Technology- the Weak Link in LDAR Programs (24) September 22, 2015 Globally, gas leaks and subsequent explosions have caused worker deaths, long-term health problems, and harm to the surrounding environment and communities. GE signs technology agreement with Chevron (0) September 21, 2015 GE Oil & Gas have signed a long term service agreement with Chervon Australia to provide subsea services for natural gas operators in Western Australia. Shipping costs on the rise (0) September 21, 2015 Shipping costs are on the rise according to the Baltic Dry Index, which last week saw its largest gain since 2009. 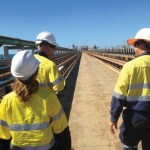 FMG launches new Aboriginal apprenticeship program (75) September 21, 2015 Fortescue Metals has unveiled a new apprenticeship program focused on increasing the number of Aboriginal tradies. 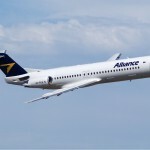 New FIFO contract for Alliance Aviation (0) September 21, 2015 Alliance Aviation will continue to service the Olympic Dam FIFO contract for the next five year, extending their relationship with BHP Billiton. 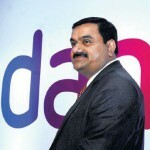 Aditya Birla to sell Mount Gordon mine (0) September 21, 2015 Aditay Birla has announced it will sell the Mount Gordon copper mine to Lighthouse Minerals. Rate hike for Singleton coal miners (0) September 21, 2015 Singleton council will vote on new plans to increase rates for mining companies and other businesses. Frydenberg appointed as new mining minister (0) September 21, 2015 Following the appointment of a new Prime Minister, Australia is also welcoming a new Federal Resources Minister. MMG to explore the Fraser Range for nickel (0) September 18, 2015 MMG has entered into a joint venture with Segue Resources which will see the company fund up to $14 million worth of nickel exploration in the Fraser Range. 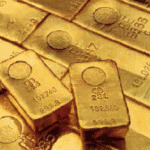 Gold rallies as US rate rise falters (0) September 18, 2015 Gold returned in strength as the predicted US Federal interest rate rise failed to materialise. 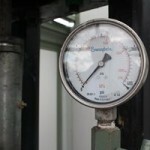 Shell/BG merger raises local gas availability concerns: ACCC (0) September 18, 2015 The ACCC’s chairman has raised concerns about Royal Dutch Shell’s $70 billion takeover of BG Group worsening east coast gas availability and prices. 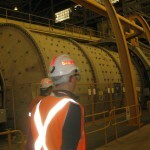 Jobs to go at Sibelco’s magnesia mine in central Queensland (0) September 18, 2015 Around 50 workers are expected to lose their jobs at Sibelco’s magnesia mine and processing plant in Queensland. MP lashes out at Wollongong Coal over treatment of workers (0) September 17, 2015 Wollongong Coal’s sacking of 44 staff from the Russell Vale Colliery yesterday has attracted scathing criticism from local MP Anna Watson. Downer exit from ammonia plant construction (0) September 17, 2015 Downer has pulled out of the Burrup Peninsula ammonium plant construction project over a pay dispute. Half a billion in royalties to come from QLD gas (0) September 17, 2015 The Queensland government expects to receive more than half a billion in LNG royalties by 2018-19, according to a report from EnergyQuest. 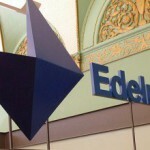 Global PR firm swears off coal, sticks with oil and gas (0) September 17, 2015 Global PR firm Edelman, hailed as the world’s biggest, has announced it will no longer represent companies involved with coal production, or climate change deniers. 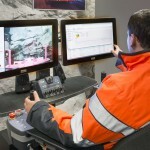 WA launch world first autonomous mining safety codes (0) September 17, 2015 Western Australia has launched the world’s first code of practice for safe autonomous mining. 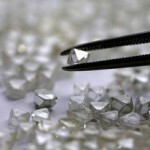 Kimberley Diamonds former chairman arrested (0) September 16, 2015 Former Kimberley Diamonds executive chairman Alexandre Alexander has been arrested and charged with misleading the market. Staff at Russell Vale Colliery sacked (0) September 16, 2015 The last 36 permanent mineworkers left at the Russell Vale Colliery have been sacked today without notice. Near-miss at Roy Hill [UPDATE] (0) September 16, 2015 A worker at Roy Hill has escaped serious injury after falling through a catwalk. 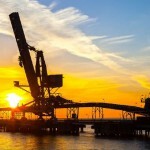 WA exports reliant on iron ore to China (0) September 16, 2015 Western Australia needs to diversify its export base and trading partnerships beyond the needs of China, a new report has recommended. Hundreds protest against NT fracking (0) September 16, 2015 Hundreds of people have marched to Parliament House in Darwin to protest against fracking in the Northern Territory. 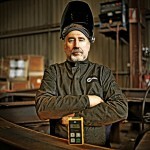 New blueprint for mental health in resources industry (0) September 16, 2015 The Minerals Council of Australia has announced the release of a blueprint for mental health and well-being in the mining industry. Minerals Council of Australia welcomes Malcolm Turnbull (0) September 16, 2015 Minerals Council of Australia chief executive Brendan Pearson said the mining industry is looking forward to working with new Prime Minister, Malcolm Turnbull. Australian jade boulder makes long trip to Canberra (0) September 16, 2015 An enormous boulder of Australian jade has been donated to the National Rock Garden in Canberra. 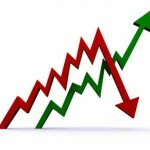 JP Morgan says mining downturn bottomed out (59) September 16, 2015 JP Morgan has forecast the bottom of the downturn, and predicts an about-face in the industry’s fortunes. 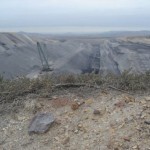 Springvale coal mine gets PAC approvals (0) September 16, 2015 Centennial Coal’s Springvale coal mine in Lithgow has received Planning Assessment Commission approval for its planned expansion. Surveying the future of mining (0) September 16, 2015 In this current age of tight margins and shrinking commodity prices it is now, more than ever before, important to know your mine. 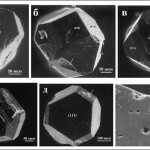 New type of diamond discovered (0) September 15, 2015 A new type of diamond has been uncovered in frozen lava in Russia. Australian Mining Prospect Awards finalists announced (0) September 15, 2015 The shortlisted finalists for the 2015 Australian Mining Prospect Awards have been released.